The complications of aging can be difficult enough, even without the pain of a spinal degenerative disease. Time, genetics, injuries, excessive strain – all of these can wear down your spinal column and cause deterioration. This condition occurs when a spinal disc has deteriorated or been damaged to the point of rupturing, which causes the gel-like core of the disc to bulge out. This bulging, herniated disc applies pressure to the spinal cord and nerves, which can cause severe pain, in many cases. Your vertebral discs act as a cushion between your vertebrae, and these can weaken and deteriorate over time (or because of injury). Rupturing and tearing in the disc can cause scar tissue to form. The gel-like center of the disc also loses its water content over time, providing less shock-absorption for the spine, and potentially causing the vertebrae to fall out of alignment. This condition occurs when there is deterioration in the spinal bones, discs or joints. In spinal stenosis, vertebrae can fall out of alignment, causing the bones to rub against each other. This can cause further damage to the spinal bones and promote the development of bone spurs. Bone spurs project off of the spine and pinch the adjacent spinal cord or nerve roots. Symptoms of spinal stenosis include pain, weakness and/or numbness in the extremities, depending on where the stenosis affects the spine. The condition can also impact a person’s balance and ability to walk. Aging of the spine most frequently affects the cervical (neck) and lumbar (low back) sections of the spine. The Q Spine Institute’s Aging Spine Program is designed for older adults looking to relieve their back and neck pain and live their healthiest life. 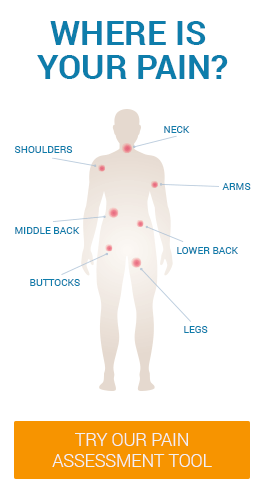 We will do a comprehensive exam with you to determine your condition and the exact cause and location of your pain. Any treatment we recommend will respect your age, medical condition, and health goals, starting with a conservative approach to pain management, if possible. The micro-endoscopic surgical techniques our physicians have pioneered are the least invasive available today. Many surgical advances today may not have been an option for older adults several years ago, but could be an option for the conditions you are experiencing currently. At Q Spine Institute, we will work to help you live your fullest life, at any age. To learn more about our Aging Spine Program, please call us at (201) 493-0123 to make an appointment for a consultation.